The power of nature wrought wild on the high seas. Ships in a storm on a rocky coast, Jan Porcellis, 1614–18. Courtesy Hallwyl Museum, Stockholm. In the hours before dawn on 28 April 1656, a Dutch East India (VOC) ship called the Vergulde Draeck struck an uncharted reef on her way to Batavia (now Jakarta) and sank off the coast of what is now called Western Australia, but was then an enigmatic landmass scarcely known to Europeans – the fabled Great South Land. In an era when the calculation of longitude was fraught with difficulty and error, this was a tragic event yet not a shocking one. The VOC had lost some 168 ships in the previous decade to various misfortunes, and this latest wreck was further proof of the occupational hazards for those who made their living by the sea. Leeman explained how the ship had been wrecked upon a reef and that he and his men had managed to sail a small open boat to Batavia, spending over a month at sea. What was more, they were not the only survivors. They had left 68 other men and women, including the ship’s captain, alive on a shore on the Southland. 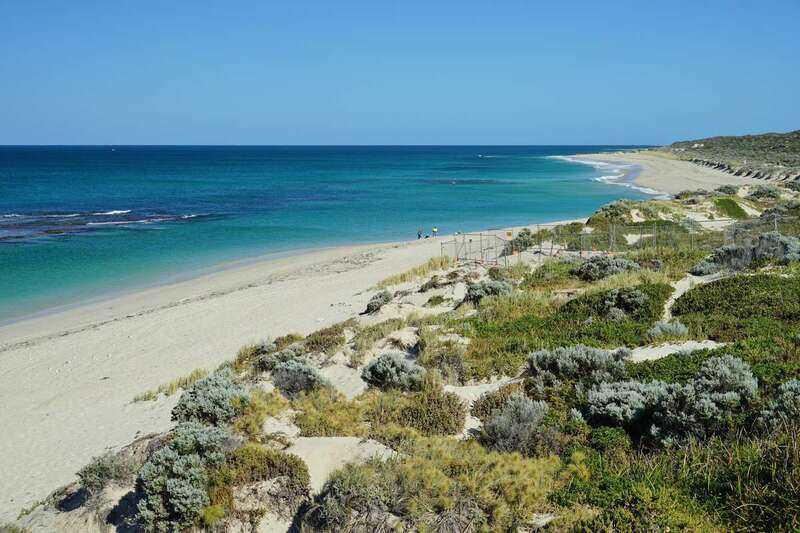 The vast stretch of coastline near Wanneroo, Western Australia. Image: EQRoy via Shutterstock. To his great credit, Governor Maetsuyker acted quickly. 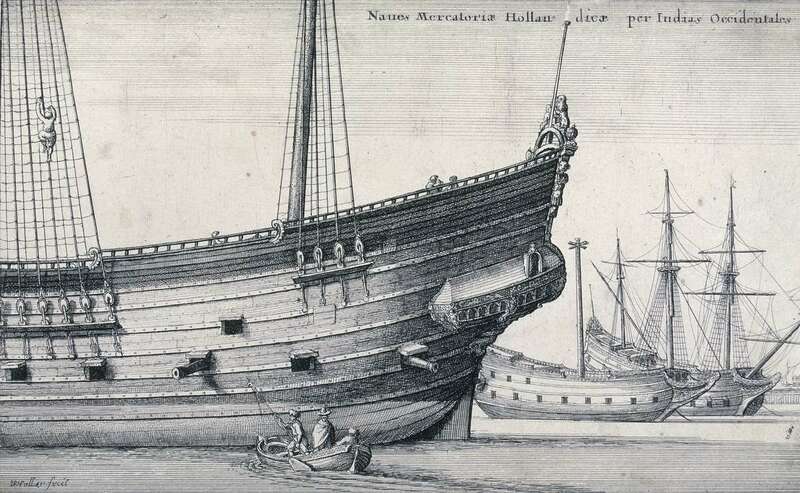 Not only had the Vergulde Draeck been carrying very expensive cargo but the VOC could not risk another loss of life such as that caused by the wreck of the Batavia and the resulting massacre 26 years earlier. The very next day, Maetsuyker sent two ships to search for survivors and any cargo that could be retrieved. 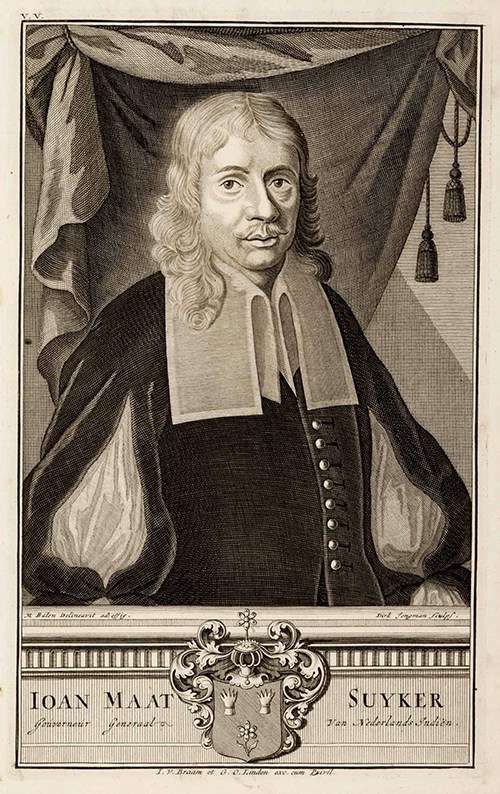 Print depicting Joan Maetsuyker by Matthys Balen (detail, 1726). Maetsuyker was the longest-running Governor General of Batavia. He served for 25 years and died in office. It was under his leadership that the VOC reached the height of its economic power. ANMM Collection 00008303. The ships sailed south with high hopes, but were foiled at every turn. The weather conditions in the southern hemisphere winter were ferocious and the ships were buffeted by storms and high seas. Despite an extensive search along the shoreline and partway inland, there was no sign of the Vergulde Draeck or the survivors. The rescue attempt had not only failed, it had resulted in another 11 crewmen disappearing while searching onshore. ‘Although there remains for us, in view of the long lapse of time, very little hope that these people will still be found alive, but we have great fear that they have perished through hunger and misery … nevertheless we have not been able to omit, on the uncertain possibility which remains, to despatch another expedition there so as not to fail in any duty that could be demanded of us in searching for these poor souls in case they should still be alive’ (quoted in James Henderson, Marooned : the wreck of the Vergulde Draeck and the abandonment and escape from the southland of Abraham Leeman in 1658, page 63). To give this final expedition its best chances, Maetsuyker sent two fast, smaller ships and chose the summer months of January to commence the journey in the hope of better weather in the south. 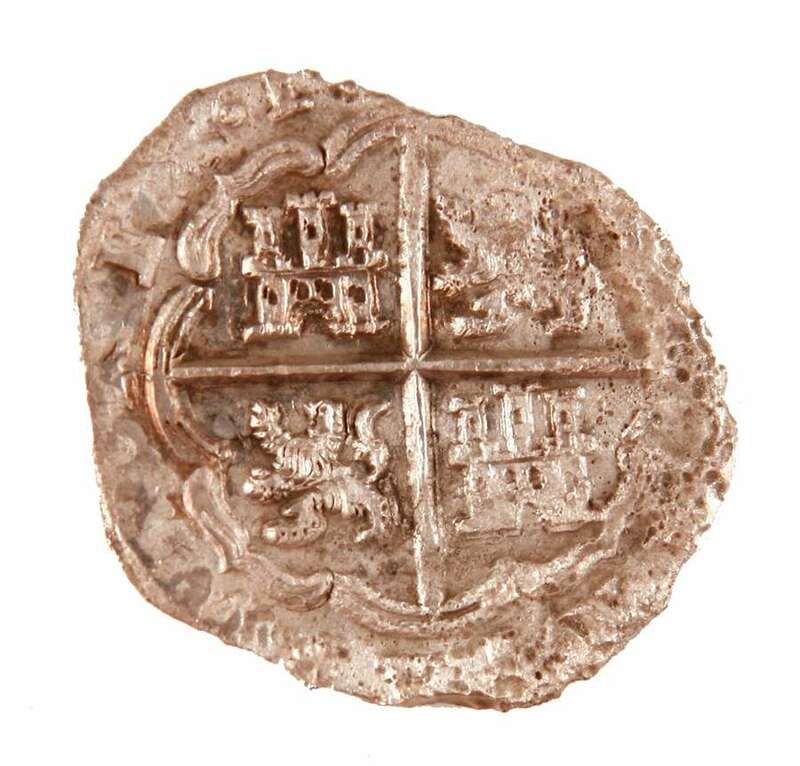 A piece of an eight-real silver coin minted in Segovia, Spain, excavated from the wreck site of the Vergulde Draeck. ANMM Collection 00048885. By March the search had proved relatively fruitless. One ship, the Emeloordt, had turned around after 15 days off the coast and headed back to Batavia. The other, Waeckende Boey, was now facing problems of its own. A search crew led by the ship’s first officer and navigator, Abraham Leeman, found debris from the Vergulde Draeck on shore and even possible signs from the survivors in the form of a circle of wooden planks. 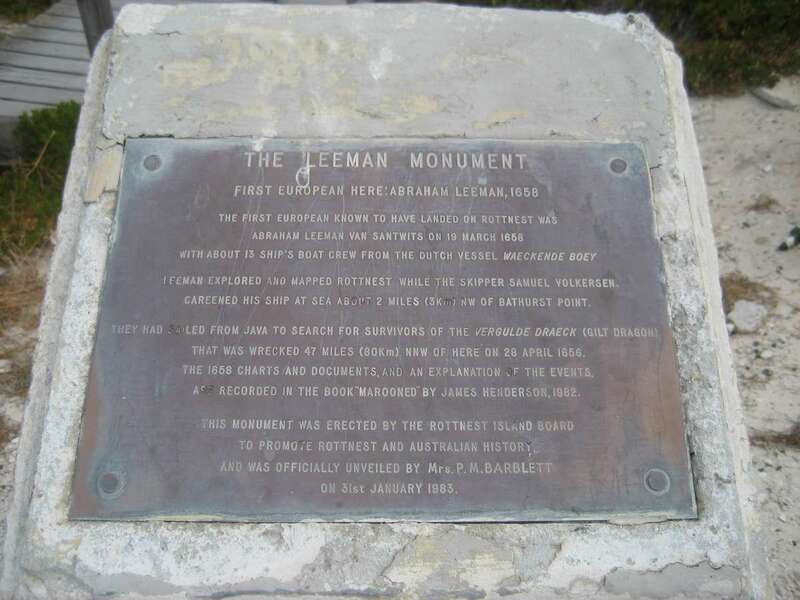 A monument to Leeman, at Bathurst Lighthouse, Rottnest. Image: Djanga, via Wikicommons. 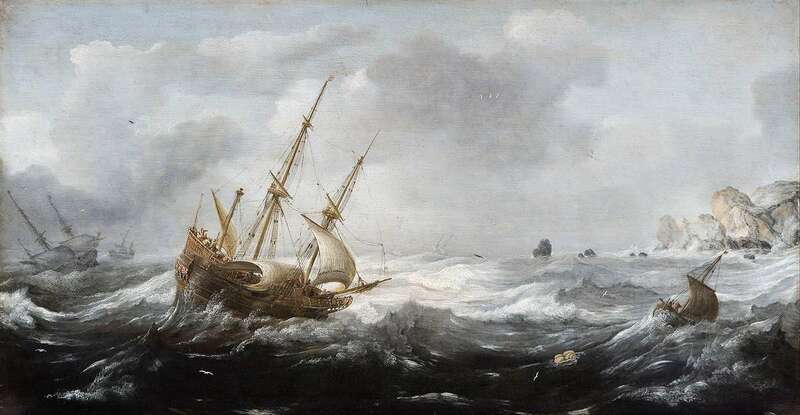 But now the Waeckende Boey was battling raging offshore winds and large surf. After two weeks of being buffeted and pummelled up and down the coast, tensions on board must have been very high when the ship was finally able to approach land once again. Leeman and his small crew were sent ashore to continue the search. On their return to the Waeckende Boey in the afternoon, the weather, by Leeman’s account, was blowing a strong wind with a ‘terribly high sea’. 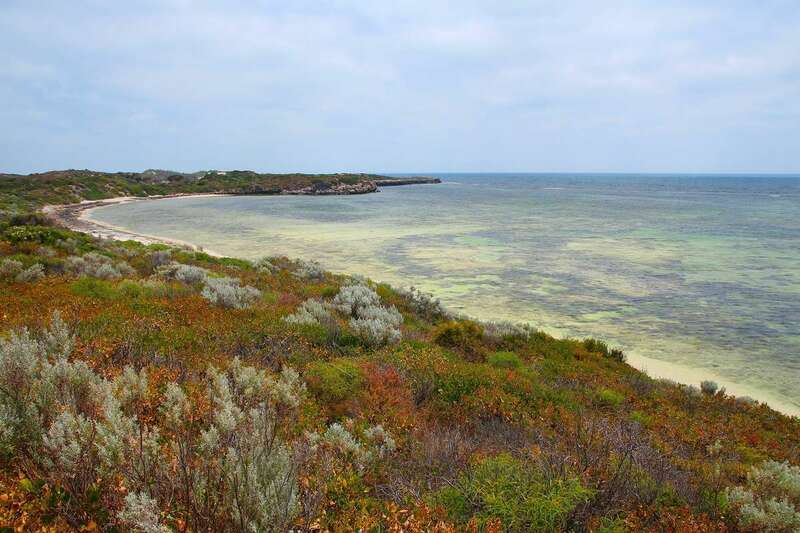 The coastline at the town named after Leeman, in Western Australia. Image: totajla via Shutterstock. The captain, by now stressed and frustrated, called Leeman a coward for returning and sent the small boat back out to resume the search. It was a fateful decision. As it turned out, Leeman was right and that night the weather was so bad he could not land the small boat. He and the terrified crew spent the night at sea believing it to be their last. While begging God for mercy, Leeman began to show the leadership that would eventually save him. Extraordinarily, throughout these and subsequent events Abraham Leeman managed to keep a journal. His honest and detailed account of what happened to him shows us a man of great humility, faith and courage. Leeman’s determination to save his men and himself is truly remarkable considering the obstacles that he continually faced. On that first night at sea, he writes that they saw ‘nothing but death before us’, and yet he remains calm and expresses sadness rather than rage at the captain who had unnecessarily put them in this situation. While Leeman managed to land the next morning, the foul weather prevented the small boat from returning to the Wackende Boey. Over the next seven days, the ship was apparently unable to locate the landing party on the shore. The captain would later claim he looked for as long as was viable, while Leeman would claim the captain ignored their signal fires. Either way, the outcome was the same. Leeman and his crew – by now dehydrated, hungry and desolate – were left stranded by the Waeckende Boey, which sailed back to Batavia without them. Wreck Point, near the Leeman Monument at Two Rocks, Western Australia. Abraham Leeman and several sailors came ashore near Wanneroo Beach where they found wreckage from Vergulde Draeck but no sign of survivors. Image: Peter Koehler, via Google Maps. Although Leeman admitted in his journal to praying to God for succour and weeping privately in despair, he quickly realised that he alone would be the key to the group’s survival. [27 March] I was very sad not knowing where to turn, for from the crew I could get neither action nor help, but they looked to me. If I told them anything they were content with it, if I asked them anything they said they would do whatever I told them, so that the cares were all mine. Leeman knew what needed to be done, even though the resources available to him were dire. The small boat had been damaged during their first landing and their supplies were now reduced to what they could scavenge from the shore – essentially seal meat, seaweed and seabirds. Water was in short supply, and by the time Leeman accepted that the Waeckende Boey was not going to return, even that trickle had run low and turned foul. Leeman knew an open-boat journey back to Batavia was achievable, but extremely hazardous. He now faced just that prospect with a damaged boat, scant supplies and a crew of 13 who had already all but given up hope. Leeman himself was so weak he could barely stand. Yet they set off. The boat was repaired and modified with seal skin, blankets were used for sails and a rudimentary map of a ‘piece of the Southland and of the land of Java’ was carved in the stern. Straight away, despite their best efforts at repair, the boat began leaking badly. Leeman kept his fears to himself and accepted that they had done all they could in preparation and that what might happen next was in God’s hands. Leeman talks in his journal of the situation being so utterly miserable on board that it was hard to describe. The crew begged for water and relief but there was none to give. Bligh and Shackleton, many decades later, would record the same feelings of quiet pressure, being leaders in situations that tested the very depths of humanity. Towards the end of April, three of the men on Leeman’s boat died in great pain and distress. The remaining crew became too weak even to hoist a sail, yet Leeman had to constantly force them to keep bailing as the small boat disintegrated around them. A terrible situation became worse when the rudimentary compass that had been their sole piece of navigational equipment was smashed by a staggering crew member. Leeman was forced to ‘set a course by the stars and just sail on in the name of God’. The men complained constantly and arguments broke out at the slightest perceived offence. Leeman held true to his belief that God would save them and continued to give the crew no indication of his growing despair or his own physical agony. He notes that he ‘comforted the men as best I could, saying that I hoped that our Lord would send us a speedy voyage as we were making good progress’. By 26 April, their water supply was down to the last two rations each and the men had now been drinking their own urine and seawater for 15 days. When all hope seemed lost, Leeman eventually came ashore at Java on 29 April. In doing so, the small boat broke apart completely. Some of the men deserted the group and Leeman and three loyal crew members were now forced to trek for five weeks through the dense and hostile jungle. They were later captured by anti-Dutch locals, then eventually released and handed over ‘again to our people’ on 23 September 1658. That there were even four men still alive after such an ordeal at sea and over land was remarkable, and a testament to the extraordinary leader Abraham Leeman had proved himself to be. While Leeman’s sufferings had been almost beyond comprehension, they should not overshadow the probable plight of those Vergulde Draeck survivors who were left ashore in 1657 and the 11 crew who disappeared in the area shortly after. Neither group was ever seen or heard from again – but they were not forgotten. Despite official VOC records being highly classified at the time,knowledge of the events of the Vergulde Draeck and the Wackende Boey reached Europe. Either verbally or by leaked journals, the details of the wreck and the subsequent marooning of crew from the Wackende Boey crew were made known. Engraving by Wenceslao Hollar (1607–1677) showing the Dutch merchant fleet for the West Indies at anchor, 1647. ANMM Collection 00001553. The 17th century was a great era of travel and discovery for the Dutch, and the public at home soaked up stories of journeys to distant shores. And no shore held such a mystical attraction as the Southland. Europeans knew that it existed, but had no information about what the interior of ‘Terra Australis Incognita’ might hold. This lack of knowledge fed fanciful ideas about the type of social utopia that could exist there. The enigma of the Great Southern Land. 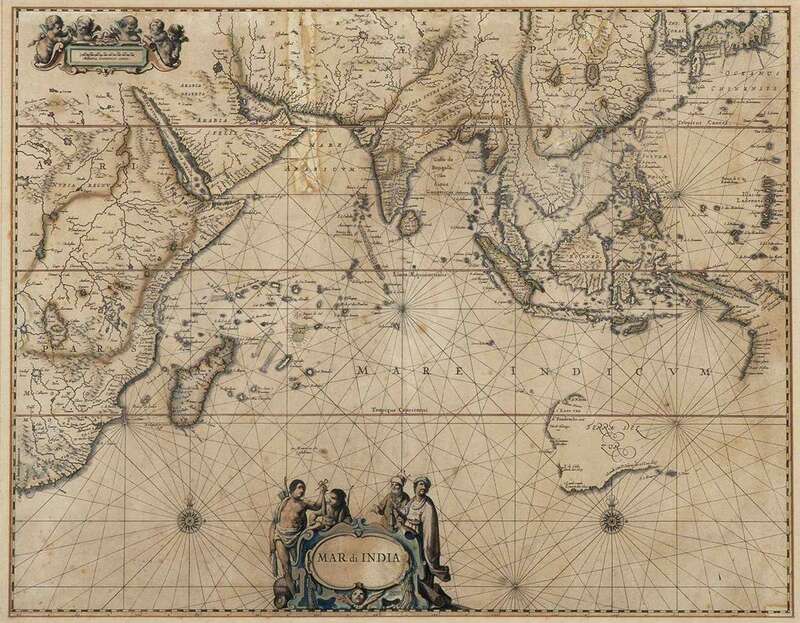 Hand-coloured engraved map from 1650 showing the Indian Ocean and the lands around it. The west coast of Cape York appears at centre right, and parts of the west and south coasts of Australia (titled ‘Terra des Zur’) at lower right. ANMM Collection 00027902. Writers embraced the unknown landscape to create imaginary voyages ending in shipwreck and discovery that rested somewhere between actual recorded experiences and pure fiction. In at least two such books, the survivors of the Vergulde Draeck live on. And happily so. The author Vairasse, writing in 1675, imagined the survivors living ‘many years in that country. The second part more wonderful and delightful than the first’. Later the Dutch author Hendrik Smeeks used a marooned member of the Wackende Boey search party as a character in his book The Mighty Kingdom of Krinke Kesmes. Small details in the earlier parts of these books in particular indicate that the authors had some facts about what happened to the Vergulde Draeck and the marooned crew of the Wackende Boey. By the mid-19th century, the idea persisted that those wrecked on the Vergulde Draeck had survived by moving inland. In 1834 an anonymous article by an English explorer appeared in a Perth newspaper. It tells of his discovery of a ‘lost white tribe’ living in a walled settlement in the interior of Western Australia. The writer provides great detail about these people whom he claims were of Dutch heritage and who had told him that they were descendants of shipwreck survivors of ‘80 men and 10 of their sisters’. The possibility that these were the Vergulde Draeck descendants was enticing to some, yet expeditions and modern re-examination of the area have shown no archaeological evidence of such a village ever existing or any remnants of the group. A more likely explanation is that the harsh and unforgiving conditions of the region were too much for the ill-equipped and already weakened Europeans, and they perished. And so for the next two centuries, the Vergulde Draeck, its survivors and Abraham Leeman were left to fiction and Dutch researchers. Although Leeman provided the VOC with his journal, we do not specifically hear from him again. An inquest into the actions of the Wackende Boey captain was proposed to examine his actions in abandoning the boat of 14 men ‘too thoughtlessly’. The captain died before the inquest could take place, however, and the VOC seemingly decided to put the matter behind them, even if the story itself lived on in novels. The Leeman monument, near Rottnest. There is a small town named in Abraham Leeman’s honour on the Western Australian coast near the Green Islands, where the marooned crew first realised their fate. 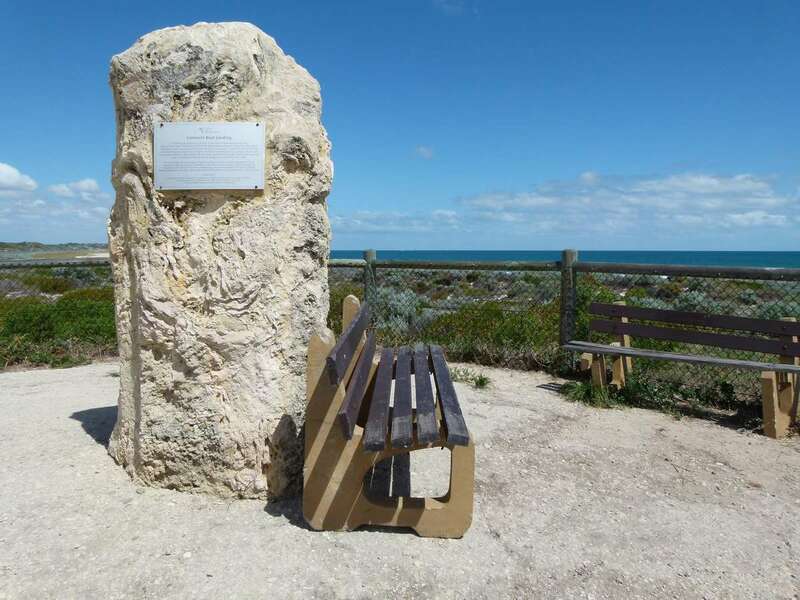 There is also a small monument at Two Rocks, 60 kilometres north of Perth, which commemorates the original landing site of Abraham Leeman and his search party. The memorial is humble and unassuming, much as the man himself appears to have been. It weathers the harsh coastal conditions and overlooks the ocean that was so much part of Leeman’s life. Although the monument commemorates the landing of Leeman, it should also stand as a reminder of the true hero Leeman was and serve as an inspiration that against great odds, hope can endure. — Myffanwy Bryant, Curatorial Assistant. This article originally appeared in Signals 109 (December 2014/January 2015). Uncover more maritime history and stories in our quarterly magazine Signals. *In a later account Leeman makes no mention of this first voyage, but several reliable sources – including ANCODS (the Australian Netherlands Committee on Old Dutch Shipwrecks), the Migration Heritage Centre New South Wales and the VOC Historical Society – agree that he was its leader.